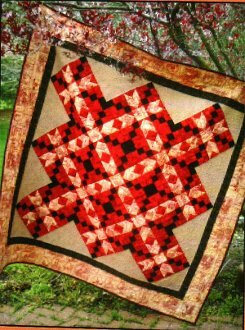 Thirteen simple ~yes simple~ blocks set 'on point' create this lovely quilt. When put together a secondary design pops out. Mitered corners and piping sewn in with the binding complete this heirloom.